Open your photo in Photoshop. I prefer using .png files for most Photoshop imports/exports. 5. Next, head to Select > Inverse. This will create a dotted lined around your entire photo, as well as keeping the traced circle outline. 6. Press Delete (or backspace). This will remove all of the remaining portion of the photo that’s outside of the traced circle outline. 7. Head to your Tools panel and select the Crop tool. 8. Drag the four outer edges of the frame to meet the outline of the circle. 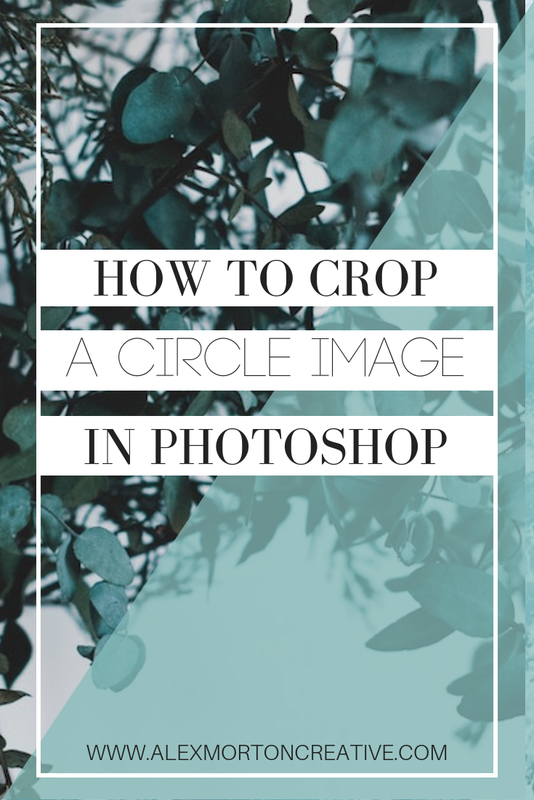 Photoshop usually makes this easy on you and will snap the edges exactly together as you drag the four outer edges of the square to meet the edges of the circle. 9. Press Enter to crop the image and voilà! You’ll get your circle image surrounded by a transparent background. 10. Save your image as a .png file by going to File > Export > Quick Export as PNG. And that’s it! Super easy - huh? Now you can go on and crop all your photos into circles! Psst! Sign up below to get updates that I don't share with anyone else. Scandalous? Maybe. Worth it? Totally. Thanks! We are officially official.